Mold growth can appear in a home or building at any time if it meets the right conditions and it can cause a variety of problems including widespread property damage and health issues. Mold spores are found everywhere in our environment and when they find moist conditions and a food source, the spores turn into visible mold. 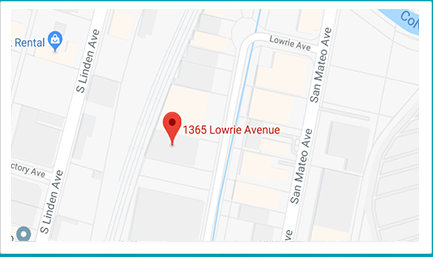 ServiceMaster Disaster Restoration and Recovery provides mold remediation services to remove mold growth and repair the resulting damage for homes and businesses in Santa Clara, CA. Our technicians are trained and equipped to completely remove mold growth and test the air to find hidden mold. 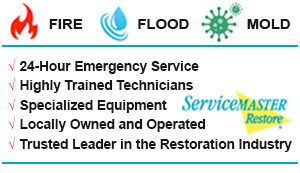 Because we are a ServiceMaster Restore Quality Restoration Vendor, all of our technicians are properly trained in mold remediation as well as handling mold claims and certified by the IICRC, Applied Microbial Remediation Specialist (AMRS), Interactive Occupational Training for Mold Remediation (IOT), and the Indoor Air Quality Association (IAQA). This training and certification allows us to provide mold remediation for small and large scale contaminations and we can repair or replace surfaces that have been heavily damaged or destroyed by mold. Mold growth is not always visible and we use ServiceMaster’s InstaScope to make sure that we uncover and remove all hidden mold. ServiceMaster’s InstaScope is a detection instrument that can detect airborne mold levels and lead our technicians to mold growth behind walls and under flooring. If hidden mold growth is not discovered, it will continue to spread and intensify, leading to extensive structural damage before it becomes apparent. If you have visible mold growing in your home or believe that you may have hidden mold damage, contact ServiceMaster Disaster Restoration and Recovery immediately at (800) 439-8833 for mold remediation services in Santa Clara, CA area. We respond quickly to provide mold removal in Santa Clara, CA and help limit the damage to your home or building.